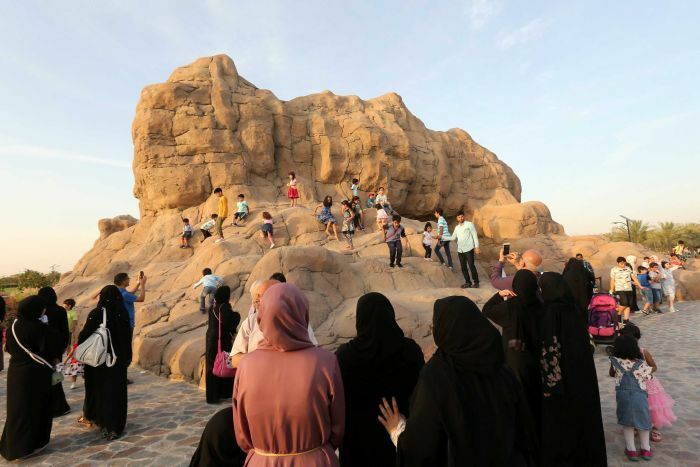 Dubai’s Koranic Park has been open for a week, and city officials claim that some 100,000 people have walked through its doors reflecting what they say is a thirst for religious-themed entertainment in the United Arab Emirates. The educational park is inspired by Islam’s holiest text, the Koran, and features 12 gardens, a “Cave of Miracles,” and a split lake symbolizing Moses parting the Red Sea. 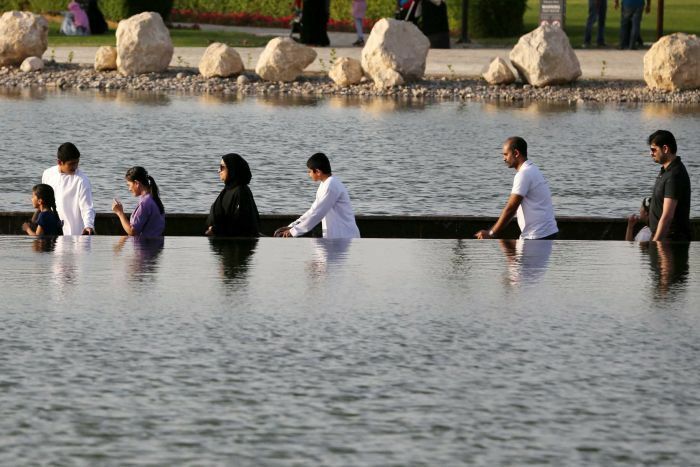 The park sits alongside other religious attractions in the region, such as Abu Dhabi’s Sheikh Zayed Grand Mosque, which reportedly attracted 5.8 million visitors in 2017. Most sections of the park are free to access, and its creators say the park is designed to teach Muslims and non-Muslims alike about Islam. The park joins a global network of attractions, or theme parks designed to translate religious texts into ‘real-world’ experiences. In the United States, people can step into ancient Jerusalem via Orlando, Florida, with the Holy Land Experience — a theme park that creates an impressionistic world designed to reflect that of Jesus Christ’s. In Vietnam, you can slide into a Buddhist-themed water park that features a graphic depiction of Buddhist hell. On a webpage describing the project, the Dubai government said the project is a “pioneering modern, cultural project that emerges from the cultural and scientific achievements of Islam”. “Koranic Park aims to provide bridges of intellectual and cultural communication with different cultures, religions and peoples,” they said. Trees bearing grapes, figs, pomegranates and olives dot the park’s 64 hectares, highlighting the medical and scientific uses of plants mentioned in the Koran and sunnah, the teachings of the Prophet Mohammad. “My children had learned about these plants, and they had some questions about the Koran and the miracles,” said Emirati visitor Omar al-Kaabi. Visitors to the cave can learn about the story of Jesus making a bird from clay and six other prophetic miracles mentioned in the Koran, using 3D map and hologram displays.